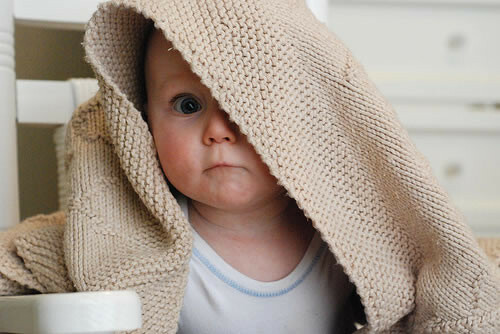 New babies require their own special soft and cuddly blankets, sometimes lasting long into childhood as comforting, favorite soothers. 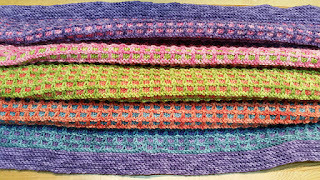 Easy and welcomed gifts for showers, many can be crocheted or knitted on reasonably sized needles in just a few days. 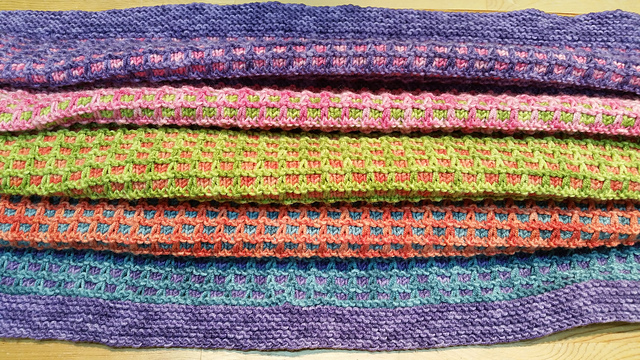 Here are a few free patterns to knit or crochet baby blankets, quick and easy.....there are also some easy baby sweater pattern links for quick baby gifts. This "Sunny Baby Blanket" designed by Lucie Sinkler is knit with just 800 yards of any washable weight worsted and gets softer with washing. Cascade 220 Superwash yarn is a great choice for this baby project with 200 yards per skein at about $9.50 per. You can also check out Plymouth Yarn's Encore for a plethora of colors in machine-washable worsted weight yarn at about $6.00 per 200 yard, 100g skein or organic cotton worsted, another wise choice. 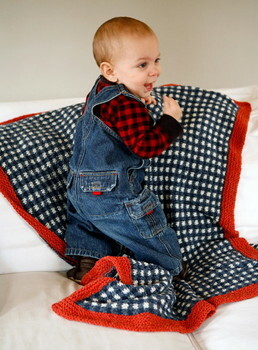 The Four Points Baby Blanket from Purl Soho is knit with a US 11 needle, easy and quick free baby blanket pattern. There are only two serious rows of repeats in this easy baby blanket pattern and its knit on a US size 8 (5 mm) needle in an interesting pattern with subtle definition. Cast on for baby blankets is usually done loosely and the long-tail cast on is a great way to accomplish this. See link below for knittinghelp video, one among many you can find on youtube. 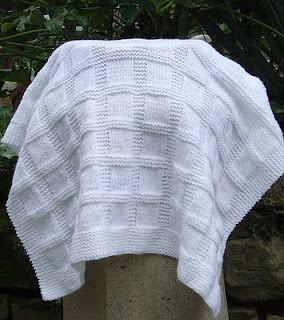 Another beautiful baby blanket pattern is this one from Tin Can Knits. 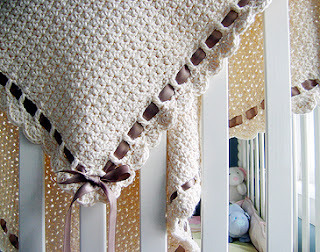 This crocheted baby blanket pattern called "Tiramisu" is easy and gorgeous by RosyLittleThings also in worsted weight yarn and trimmed beautifully with ribbon all around the edges. Any worsted weight yarn will do, but the designer suggests organic cotton yarn for a yummy soft texture and sustainable result. Lion Brand Nature's Choice Organic Cotton Yarn is a perfect choice.